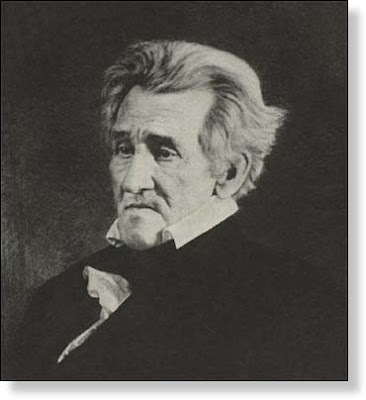 The recent discovery of the still-dead corpse of former president Andrew Jackson has caused many to wonder why, during his life, his body went through so many physical changes. As a youth, Jackson had red hair, but as he grew older, it turned gray. He gained wrinkles and became stooped. And his physical appearance has become even more extreme since his death in 1845. Furthering the bewilderment of the American public, his behavior has changed as well. 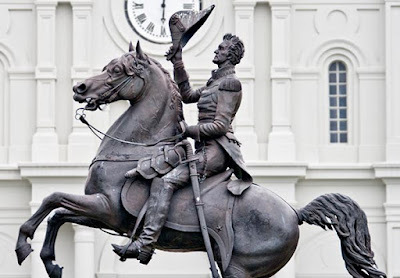 Since 1845, Jackson has gone into a kind of self-imposed exile at his home, The Hermitage, making public appearances only on the 20-dollar bill and in various casts of bronze. "It's not so baffling if you think about it," said a smarmy expert in the field of dead people. Still, others are skeptical. Of course he's elusive - he has to live up to (die down to?) the name of his home. Can't be much of a hermit if you're gadding about all the time, now can you?